This book is designed to help you discover your purpose, endure the process, and fulfill your destiny! 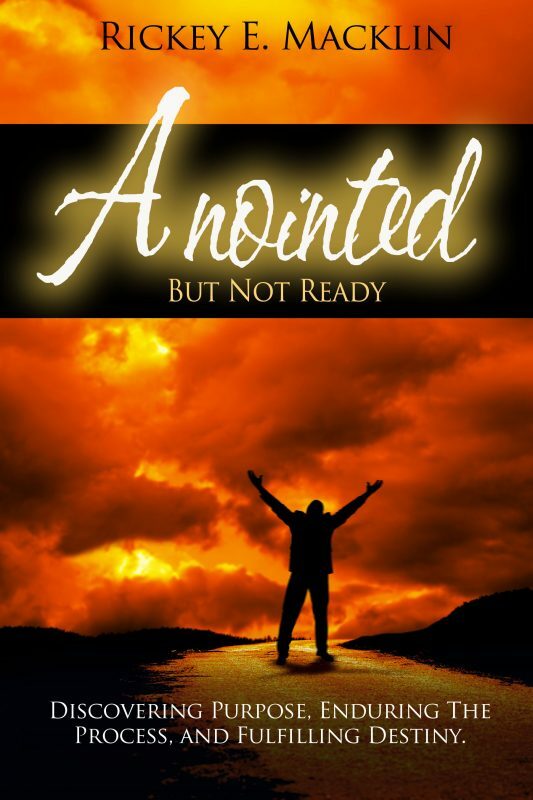 Anointed But Not Ready: Discovering Purpose, Enduring The Process, And Fulfilling Destiny by Rickey Macklin is a highly motivational religious book that takes a look at God's plan for your life. While you may feel you are ready for your plan, God may have other plans. The author talks of God's perfect timing for your life, and how everything works out in the end. How your purpose ultimately will reveal itself when it is the appropriate time. Based on tons of scripture to back up his theories, Macklin tells the reader the good news of God's plan and timing, that even though you are anointed, the perfect time will come for your life to unfold and for you to find your purpose. Great book that will help you find your true purpose in life. How do you know when you are ready? Ready to take an important step in your life, to finally say those words that have been burning your throat for years, to finally achieve your goals after you work really hard to accomplish it, or just to feel good with yourself, it’s a pretty important step if you ask me, so when does the right time comes? This is an important saying where I live: ‘God’s time is perfect’ although when I was younger I didn’t fully understand nor followed that sentence, as time pass by I start to have second thoughts about it, and now I’m walking on the right path because of it. This book will be just the beginning but there is so much for us to learn and be grateful, when the right time comes you know it will be your time to shine, patience is also something we all need to master, I have a great time with this book, for those who are doubtful or are worrying too much about what life might throw next, this is a book that will help you. 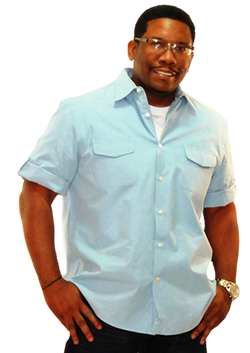 Maryland author Rickey E. Macklin has written extensively about man’s relationship to God. Some of his better-known books include GOD’S WHOLE ARMOR, REAL TALK, 6 POINTS TO OPTIMIZING YOUR LIFE, THE CHIVALRY PROJECT, and DADDY’S WAITING FOR YOU. It is obvious he is a minister of the Christian faith and stands ready to extend his hand and heart to everyone who needs support in the manner in which they appreciate God’s role in our lives. For this book ANNOINTED BUT NOT READY he informs us of his purpose: ‘This book was written to edify, exalt and comfort those who are walking in their God-given assignments, those who have failed in their assignments, those who have just begun their journeys and those who have no idea what their assignments are. It is written for ministry leaders, lay persons, businessmen and businesswomen alike. We live in a time where little makes sense – globally, environmentally, political corruption, meaningless mass murders, lack of drug and gun control, persistent racial injustices – and this is a fine time to read Rickey’s book. The message is clear: Rickey stresses that God has a plan for each of us and he guides us through the process of recognizing, discovering, and fulfilling that destiny. His writing is straightforward and accessible. 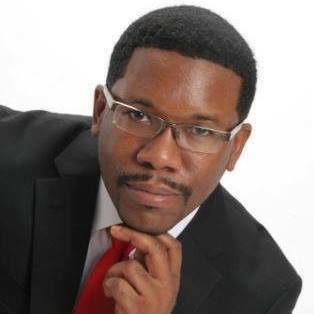 His scriptural references are copious and the added Forewords by Pastor Steven Hodge of Connecticut and Dr. Henry A Cleare of South Carolina provide further support of Rickey’s message. God's empowerment through the anointing enables every person to achieve both natural and spiritual accomplishments that really matter to Him and to this world. This book is a greatly anointed tool that can be used to mightily help the "called" ones to achieve the knowledge of the importance of the anointing. There is a great need in our present generation for us to preserve the gravity of godly leadership and spiritual authority. There is a constant threat in our society today to unravel the integrity of our leadership, which would consequently water down the qualifications of the generations that follow. Minister Ricker brings a bold, revealing message to the forefront, clearing the old paths that announced God's standards, that we again may return to them.